As eager as Google has been to help veterans find work in the civilian world, most of its work has been parallel to what's already going on. It's hoping to use its social networking skills from Google+ as the linchpin for a larger effort. 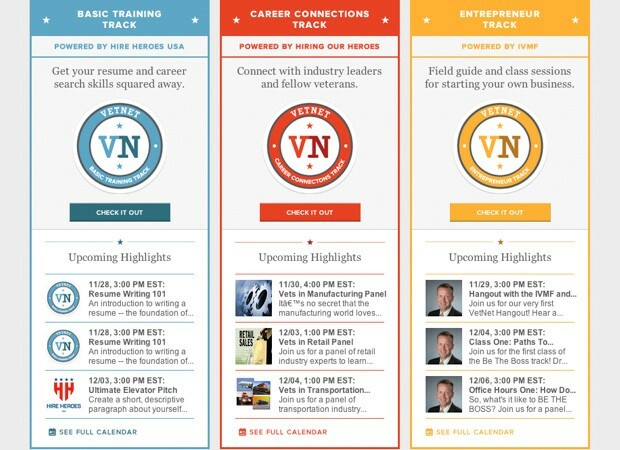 Enter VetNet: the portal aggregates job-finding resources from Hire Heroes USA, Hiring Our Heroes and the Institute for Veterans and Military Families, using Google+ pages for program tracks that cover job hunting basics, career networking and entrepreneurial courses. Former soldiers will logically need to sign in, but they'll get access to video discussions through Hangouts, a Google Calendar for events and, naturally, a place to connect with fellow vets. The VetNet hub is already live; if transitioning to work outside the armed forces feels like too much of a solitary pursuit so far, the service could be a prime opportunity.